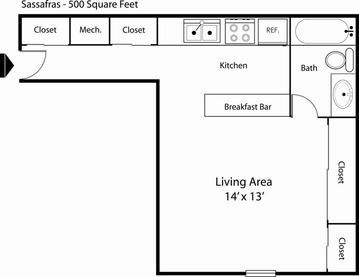 The Maple studio apartment has everything you need right at your fingertips. The kitchen cabinets wrap around three sides of the kitchen with extra cabinet storage under the bar overlooking the living room. The living room has plenty of space to set up separate living and sleeping areas and features a built in bookcase in the corner. 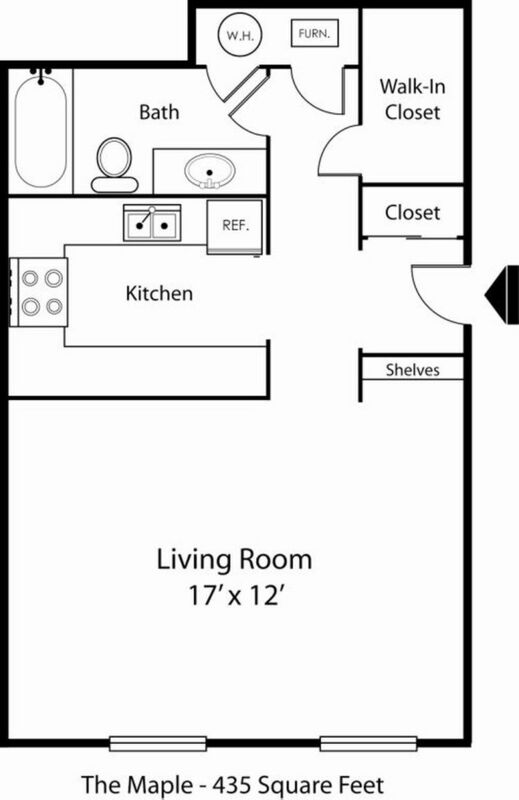 This apartment has an entry closet and large walk-in closet to store all of your belongings. The spacious bathroom features an oversized vanity. The price for this apartment keeps your budget in mind as the electric, water, sewer, and trash removal utilities are already included. You will love calling Main Street on the Monon Apartments Home!